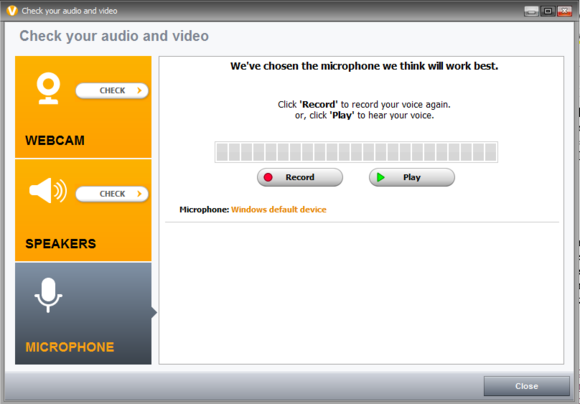 Record some test audio and play it back to ensure ooVoo can see your mic. Can’t see anything? Try dumbing down your video hardware by clicking ooVoo > Settings > Advanced and deselecting Use hardware acceleration. 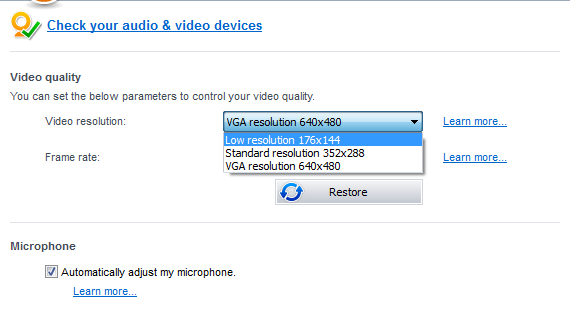 If this option is grayed out, check your video card drivers and see if an update is available. As with other videoconferencing systems, ensure you're using the correct camera. 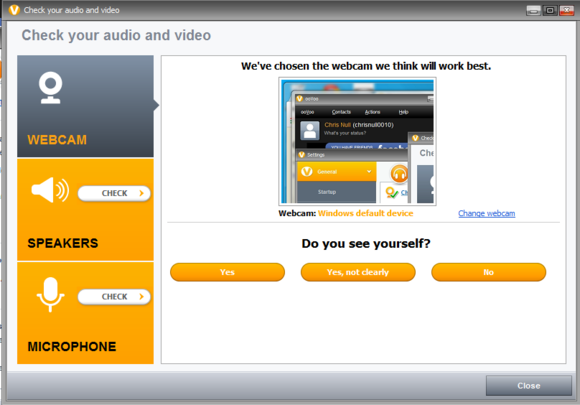 ooVoo buries this setting, which you’ll find under ooVoo > Settings > General > Audio & Video. Click Check your audio & video devices, then click Check next to Webcam. ooVoo may select Windows default device, which may not be a webcam at all. On most laptops, Integrated Camera is what you want, which you can select under Change webcam. A whole host of problems can be responsible for ooVoo audio issues. Start by clicking to the Check your audio & video devices screen described in the previous tip. Check under Microphone to see if an existing microphone is active. As well, run the record/play test here to ensure your microphone works. On mobile devices, try quitting other apps that might be using the microphone (and preventing ooVoo from using it in the process). No matter what device you’re using, also ensure your microphone is not accidentally muted. There will be a red X over the microphone icon if it is. This problem is primarily seen on mobile devices. To remedy it on iOS, visit your phone’s Settings app, then tap Facebook. Turn ooVoo on here. On an Android device, log in using Facebook from the ooVoo main screen and re-enter your Facebook credentials. Visit Android’s settings to give ooVoo a fresh start. Ensure all permissions requested are authorized on the subsequent screen. If this doesn’t work, try removing and reinstalling the ooVoo app, regardless of the device. ooVoo’s official advice is to reboot your device every day (particularly mobile devices) to prevent this problem, to close other apps, and to use Wi-Fi whenever possible. 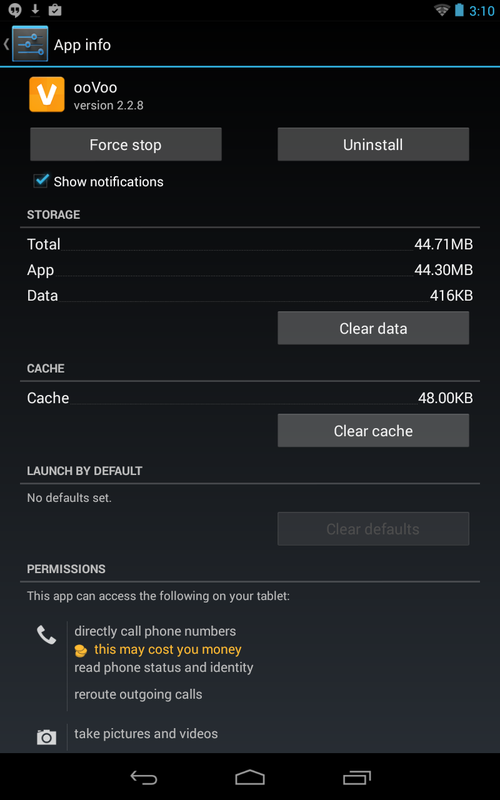 Alternately, if you're using an Android device, try clearing settings. This can be found under Settings > Apps > ooVoo. Tap Clear data and relaunch the app. On iOS, the best fix is to delete and reinstall the app. Tweak the video resolution and frame rate downward if pixelation is an ongoing problem. This can be a bandwidth problem, but ooVoo gives you significant control over its bandwidth consumption. 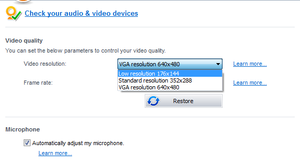 If pixelation is a problem, click ooVoo > Settings > Audio & Video and click the Video resolution drop-down. VGA (640x480) is the default, but you can drop down to as low as 176x144 pixels. You can also reduce the frame rate to as low as 5 frames per second. (15 is default.) As well, you can adjust quality settings if you’re having these problems during a screen-sharing session by clicking ooVoo > Settings > Video calls > Video call settings. The Screen sharing frame rate can be changed at the bottom of this screen. Note that you may need to end a call and reinitiate it for changes to go into effect.